Some North Carolina charter leaders are fired up over a legislative proposal to set aside half of a charter school’s enrollment as a corporate “perk,” a new report from the A.J. Fletcher Foundation’s Lindsay Wagner finds. The news comes with the state Senate expected to consider House Bill 800 in the coming weeks. House lawmakers passed the bill late last month, potentially granting enrollment priority to private corporations that donate land, tech, infrastructure or renovations to a charter. A national, nonpartisan charter policy organization has already expressed concerns with the bill, which they described as perhaps the first of its kind in the nation. Charter schools are tuition-free, publicly-funded schools that do not operate under the same curriculum and staffing rules as traditional public schools. 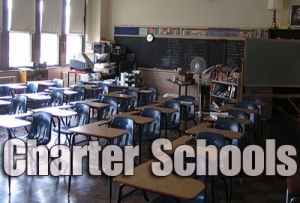 A bill moving through the North Carolina legislature that would allow corporations to essentially buy spots at public charter schools for their employees’ children has a lot of folks upset—including some charter school leaders. Drawing an analogy to old mill towns, Gay is worried that if corporations that donate land or a building or make other investments in a public charter school are then repaid with access to a substantial supply of that charter school’s coveted seats, it could be the for-profit company that drives what happens at the school—not the school’s leaders or the nonprofit board tasked with overseeing them. As Policy Watch reported last month, some Democrats questioned whether the bill subverts the public nature of charters, potentially creating private, company schools paid for with taxpayer dollars. But House Republicans backed the bill, arguing that the proposal would serve as an economic incentive for corporations. 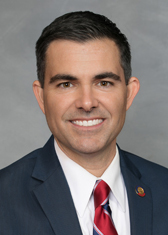 Rep. John Bradford, a Republican from Mecklenburg County, is the primary sponsor of the legislation. Bradford did not respond to inquiries about the bill before last week’s Policy Watch report, although he has described the proposal as a “no-brainer” boon for companies that donate services to charters. The legislation is likely to find a warm welcome in the state Senate, which has been particularly receptive to school choice expansion and privatization in recent years. It’s not clear if there’s a company out there pushing to have this proposal become law. Research Triangle High School’s Eric Grunden says he is concerned that HB 800 along with a package of other bills introduced at the legislature last month aren’t helping the charter school sector writ large. “They are making charter schools look more and more like toys—a special interest issue as opposed to a real force in educating children,” said Grunden, pointing to other bills introduced last month that would allow charter schools to expand up to a higher percentage without state review and allow towns to operate their own charter schools, possibly exacerbating school segregation. Grunden said he had hoped for this year that legislation would have focused more on the issue of charter school funding—many advocates say that charter schools don’t receive their fair share of state per pupil funds—and ways to ensure charter schools are high quality and accountable to the public. East Wake Prep’s Stephen Gay agrees.